New Delhi, August 26, 2013: Aircel, one of India’s leading innovative, data-led telecom companies, has been named the Best Practice Award Winner in the Enterprise Business Intelligence category in an annual competition sponsored by The Data Warehousing Institute (TDWI), the premier provider of in-depth, high-quality education and training in business intelligence (BI) and data warehousing (DW). TDWI held an awards ceremony recently, at the TDWI World Conference in San Diego, California – where Aircel and other winners were recognized. TDWI’s Best Practices Awards program identifies and honours companies that demonstrate excellence in developing, deploying, and maintaining BI and DW applications. Aircel was honoured for its integrated data warehouse, its primary intelligence environment – one that brings together many lines of business and over 20 varied data streams into one large, central data hub. This integrated approach enables a 360-degree view of customer lifetime value and relevant business synergies among sales and marketing and customer relationship management teams. The award-winning Aircel team, using Teradata (a leading analytic data solutions company) system, empowers business users to explore various analytical opportunities for multiple insights. The integrated view makes it possible to analyze the customer life cycle, including such tasks as customer identification, customer acquisition, customer relationship management, customer retention, and customer value enhancement—and to do it instantaneously. Aircel’s highly effective marketing teams achieved powerful, positive business results using the Teradata central enterprise data warehouse. These results include revenue increase -with reduced information latency, and deeper availability of the freshest customer profiles, which allow Aircel to recommend personalized products and content through various customer touch points. “Aircel has a great success story and an innovative team of data-driven managers. Initially, they started out with challenges – a collection of business verticals specific data marts for various customer transactions – which required users to generate, with some difficulty, an integrated analytical view of customer demographics, usage patterns, and social behavior – without the most effective IT tools to do so,” said Scott Sobers, Director, Communications Industry Marketing and Strategy, Teradata. “With market demands, future growth, and telecom dynamics, Aircel initiated a business intelligence project to provide a single customer view. This new environment helps Aircel to orchestrate the best suited products and offers for increased customer satisfaction and additional revenue. 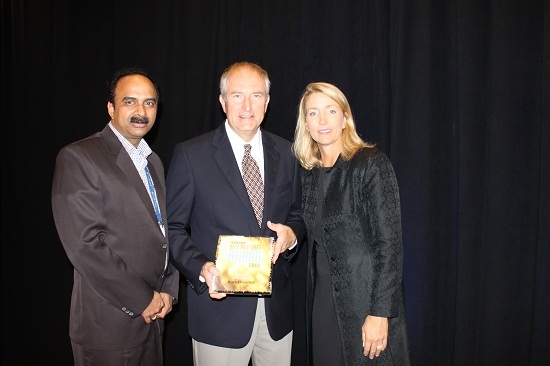 Teradata is proud to be at the technical core of that business transformation,” he added.